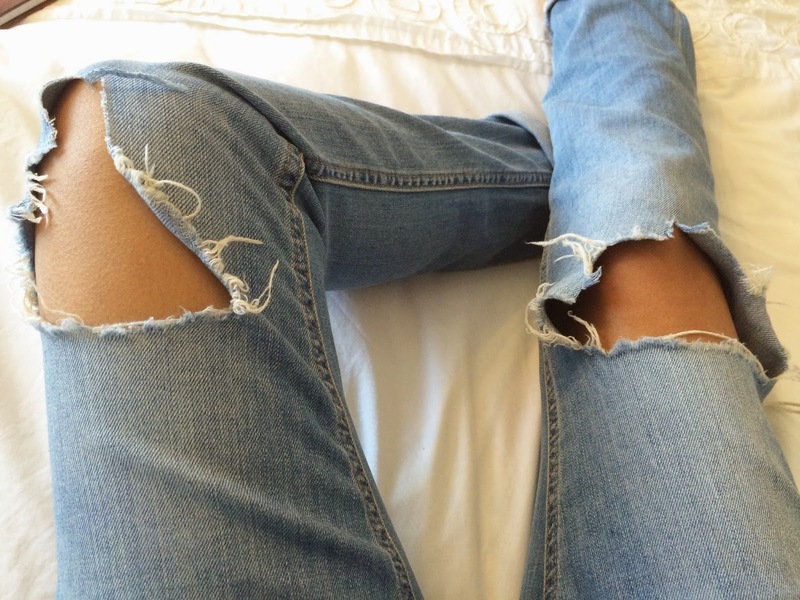 Although this trend has been going for years, seems to me that torn jeans are becoming more and more popular with nearly every high street store selling one or more styles. 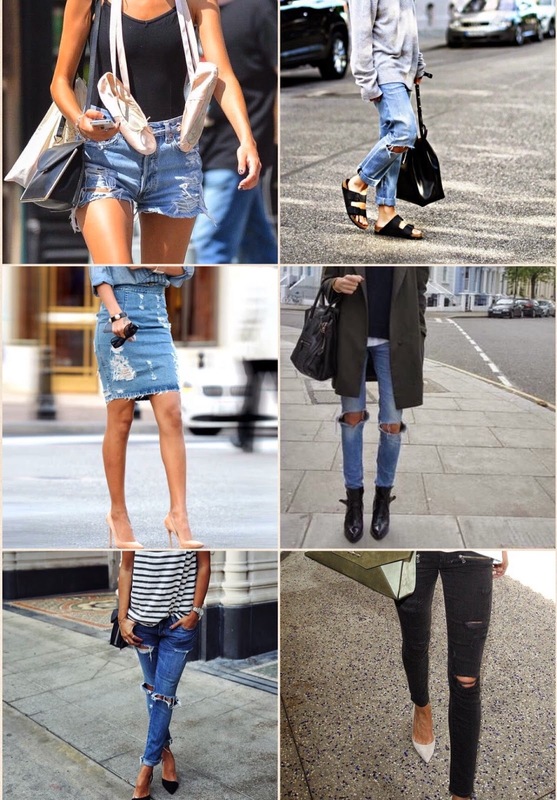 From skinnies to boyfriend fit, denim shorts and skirts, we’re obsessed with the distressed denim effect. I’ve had these pair of ripped jeans for over a year now and last year it reworked itself into the condition I wanted, it was ripped to perfection from wear and tear. 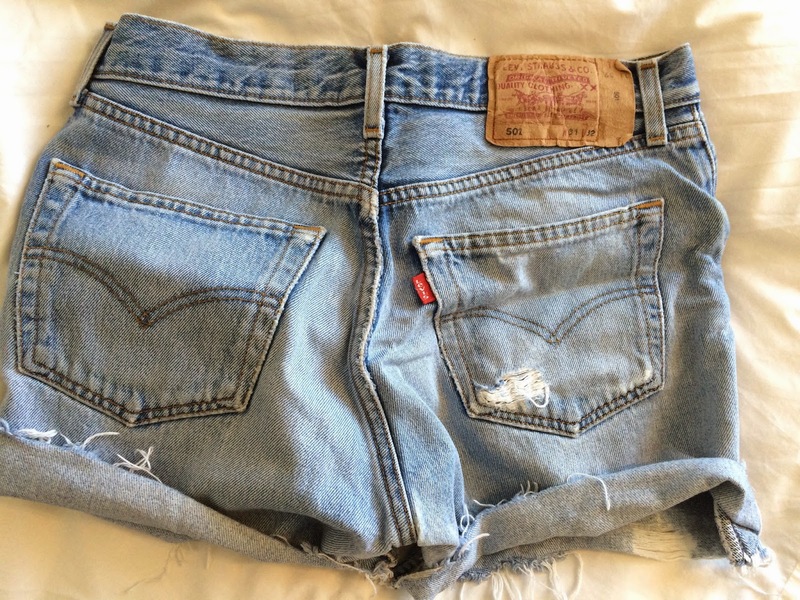 I personally like the loose fitted jeans, but a good pair of skinnies can look amazing too and when temperatures rise I’ll be definitely getting out my old vintage Levis shorts. 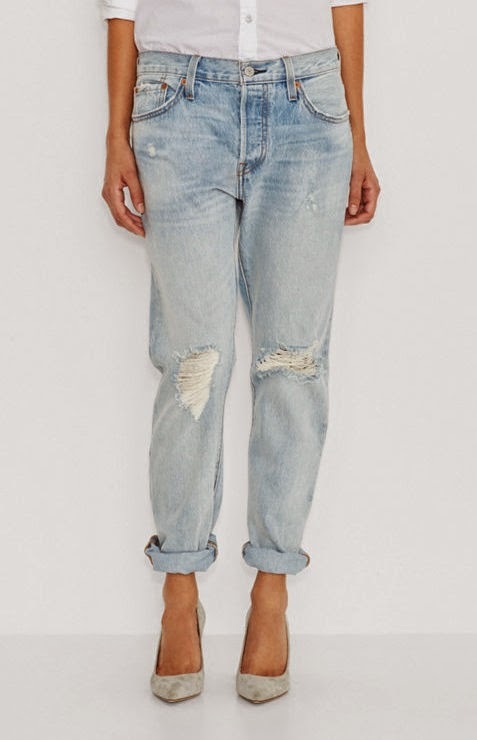 My new denim brand obsession RE/DONE is a brand of denim that I’ll want to invest in. The brand launched in LA and they source the 'best of highly coveted vintage Levis' jeans and hand work them into modern fits with every piece being unique and looking amazing! (Source and great introduction article here). There is something about distressed denim that exemplify relaxed, laid-back and the essence of casual. However, it can definitely be dressed up with heels for a more sophisticated style. Here are a few of my favourite looks from Pinterest.